A subsidiary of Ocwen agreed to pay a $750,000 fine to the Justice Department in order to settle allegations that it illegally foreclosed on the homes of service members of the U.S. military. The federal agency alleges PHH Mortgage Corporation, a mortgage servicer that was acquired by West Palm Beach-based Ocwen last year, violated the Servicemembers Civil Relief Act (SCRA) by foreclosing on the homes of six service members without obtaining the required court orders, according to a Justice Department release. The Justice Department launched an investigation along with its Civil Rights Division and the U.S. Attorney’s Office for the District of New Jersey after it received a complaint in May 2016. The investigation revealed that PHH Mortgage foreclosed on six homes of service members between 2010 and 2012. It’s illegal to foreclose on active military members homes during their service and one year afterward without a court order. PHH Mortgage and Ocwen have faced other allegations of improper foreclosures or mishandling of mortgage payments. Ocwen acquired PHH Mortgage in October for $360 million, after its third quarter ended on Sept. 30. Ocwen once had a market capitalization of more than $6 billion and made a fortune servicing subprime mortgages from banks after the financial crisis. U.S. Commerce Secretary Wilbur Ross was a member of its board of directors, and its founder Bill Erbey’s net worth was valued at $2.8 billion in 2013, according to Forbes. In the last few years, however, the company has faced numerous financial and legal challenges. 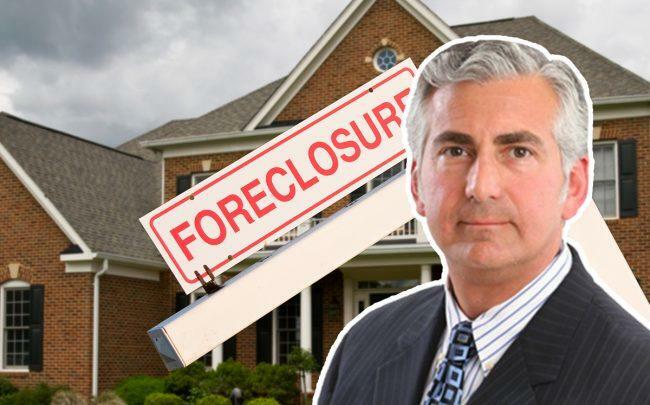 Regulators alleged that Ocwen mishandled consumers’ mortgage payments and illegally foreclosed on homes. In 2013, Ocwen reached a $2.1 billion settlement with the federal government and 49 states to address allegations of mortgage servicing misconduct.